Idea Summary: One Bin for All is a revolutionary idea for residents to discard all materials in one bin, treating "trash" as valuable assets and dramatically increasing recycling using game changing technologies. Click here to vote for this idea. What if everything you put in a waste bin could be recycled? What if "trash" became extinct? And what if you no longer had to sort your plastic cups from your glass jar from your banana peel? What if Houston led an innovation that transformed the way we think about all discarded materials? It can happen here. Recycling, admittedly, is difficult. Though I am an avid recycler, I can be stumped by aluminum foil or a wet paper towel or a plastic straw. Not surprisingly, so are millions of citizens, and it is estimated that cities only effectively recycle about 30 percent of their trash. 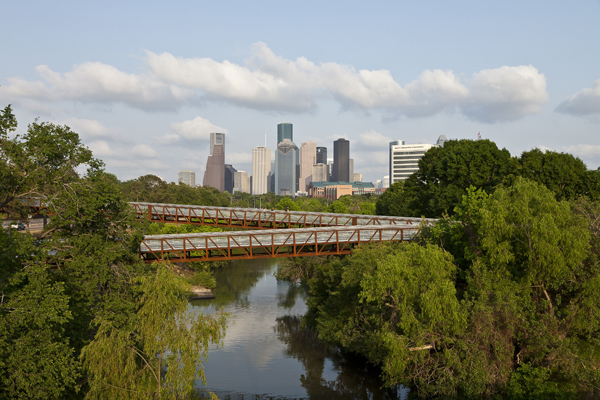 Houston is a can-do city with world-class engineering and refining sectors. I believe that technology can do a better job separating trash from recyclables, and am working on creating a public-private partnership to construct and operate a high-tech recycling and sorting facility, diverting up to 75 percent of the material residents discard (up from Houston's current 14 percent) - using technology from the mining and refining industries, not individuals. Residents will be able to place all discarded materials in one bin and technology will do the rest. This cost-neutral, technological innovation represents a huge paradigm shift, changing how people will think about "trash" and recycling in the future. Houston will apply proven technologies and new processes, redefining municipal solid waste from a liability to a valuable asset. Houston already has a well-established industrial and energy base. This development will provide incentives for networks and businesses to form around newly separated materials that will be available as feedstocks. This first-of-its-kind innovation uses technology in a way that has never been done before. Allowing technology and new process systems to sort household "trash" and derive an initial 55 percent diversion rate, and upwards of 75 percent with composting, anaerobic digestion and catalytic conversion (biomass-to-fuel) is more efficient and effective. The technologies (shredders, sensors, density separators and optical scanners) have been used previously in the waste, mining, or refining industries, but will be combined in a new process which will yield a much higher diversion rate. This system has the potential for cities across the globe to reduce greenhouse gas emissions and make a significant contribution to improved air quality, provide an easy-to-use program for residents, save money and increase revenues. Manage costs associated with waste collection and disposal and recycling, saving cities money. By building the first total material resource recovery facility in the US, Houston has the opportunity to improve the health and quality of life of its citizens, divert more municipal solid waste than any other large City in the nation, save money, change the way citizens think about materials, reduce extraction of raw materials and influence other cities to embrace this transformation. Houston is a city of solutions. If you can dream it, you can achieve it here. One Bin for All. This post is an entry in the Mayors Challenge Fan Favorite Selection, a partnership between The Huffington Post and Bloomberg Philanthropies that allows readers to vote on their favorite idea among the 20 Mayors Challenge finalists. The Mayors Challenge is a competition to inspire American cities to generate innovative ideas that solve major challenges and improve city life. To view the ideas from the 20 finalists, click the grid below -- and then vote for your favorite here! And follow the conversation on Twitter with hashtag #MayorsChallenge.